If you are looking to sell your used car, van, truck, 4wd or ute then Cash for Used Cars Melbourne can assist you. Our company buys vehicles for cash in any condition from all suburbs of Melbourne. With Cash for Used Cars Melbourne, selling of vehicle is very easy. What you’ve to do? You just need to call our car expert on 0391 081 086 for evaluation your vehicle. After getting price for your car, you can book your vehicle with us for pick up. We can do it all on same day including cash in your hands for your car and car removal and pick up. Our aim is to buy every used vehicle that is either drivable or not. So, you may have a vehicle that may not be drivable due to mechanical issues. But we’ll buy your used vehicle as is. You don’t need to spend money on vehicle like this. 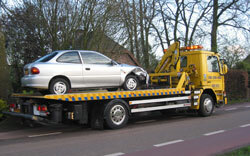 We’ll buy your vehicle with our junk car removals service. This service is free if your vehicle location is Melbourne. So, if you’re vehicle is broken down on the road, or it is on the drive way for a while, you can call us for your vehicle removal. We’ll pay you cash for your used vehicle on same day. Selling your old and used car for cash is never a bad idea. You get decent cash for scrap car and you also get rid of it on same day. 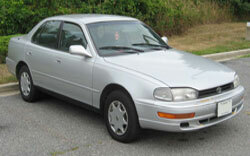 There are a lot of used car yards and companies that will buy your used cars in any condition. All you have to do is just find best cash for used car company. When you’ll shop around then you’ll see Cash for Cars Melbourne is top car buying company in Melbourne. We offer cash up to $8,999 for used cars in Melbourne. We know the fact that every vehicle owner want to get more money for its vehicle. It is also a fact that in some cases, vehicle owners face difficulty in selling their car because of getting right money. 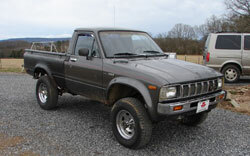 We at Cash for Used Cars Melbourne offer right money for every car, van, ute, truck and 4wd. It’s because we know the value of every vehicle that is in car market. Our experience in car buying industry is also proof of that. That’s why we offer up to $8,999 for any used car that is on the road of Melbourne. 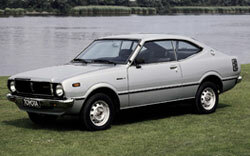 Your used vehicle may be of American, Japanese, Australian, Asian or European make. It can be of any age, maybe 20 or 30 years old. It can be in bad condition, may be difficult for private sale. When you contact Cash for Used Cars Melbourne, then we show interest in every vehicle. In short, we welcome every vehicle make, model, year and condition. We buy it and we remove it on same day with instant cash for your used vehicle. When it comes to our service areas in Melbourne, don’t worry about it. We go in all metro suburbs of Melbourne. We go in northern suburbs, western suburbs, eastern suburbs and southern suburbs for buying used cars. And we offer free pick up and removal in all those areas. So, if you need to trade in your used car, then you’ve the chance to do it on same day.